Arum creticum – Dig Delve – An online magazine about gardens, landscape, growing & making. I have been away for work for just over a week, a week that has seen the buds on the plum orchard break into luminous clouds of flower. I was aware when we scheduled this time away that it would be a small torture knowing that this long-awaited moment was going on without me, but there is nothing like returning to change. To add to the tension of being away, at the last minute my return plane was rerouted via Beijing for a sick passenger when we were half way across China. It was well after midnight when I pulled into the drive at home. There was a chill in the night air but there to greet me, pale and luminous at the bottom of the steps, were the poised chalices of Arum creticum. I had noted the slim green fingers and promise of flower as I’d left and the time I’d spent away was marked in their transformation. Rolled back to open throats to the sky, the twist of their creamy sheaths would surely inspire a milliner. Fresh, primrose yellow with a darker, yolky spadix they sit well against the glossy foliage which has been good all winter, but will soon be gone as the energy is drained once the flower is pollinated. 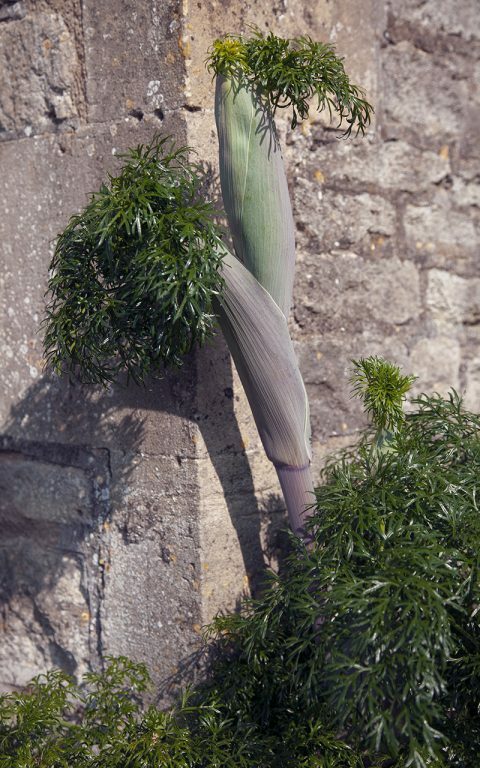 Where many arums attract flies with a foul or animal smell, Arum creticum has a sweet perfume that hangs gently in the air on a still, sunny spring day. 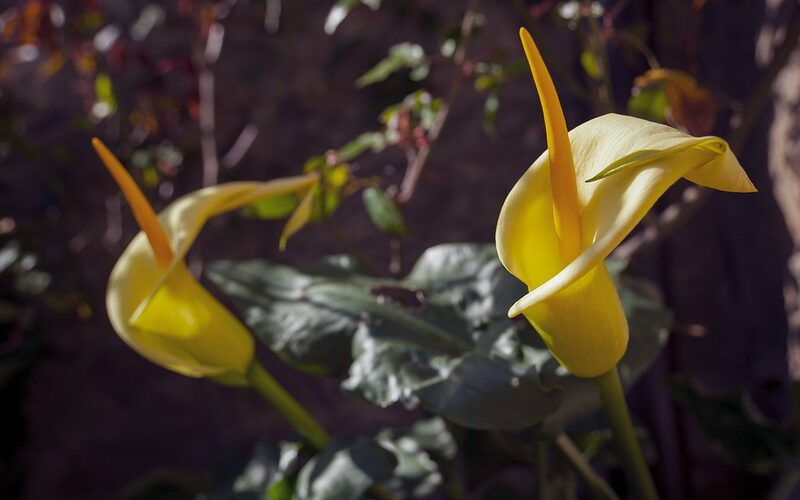 Arum creticum is a plant that has an exotic feeling about it, without making you fear for its hardiness. I have yet to see it in its native habitat in Greece, but have read that it is found in cool crevices in open, deciduous woodland. Though it is perfectly hardy here, rising early in a countermovement to flush fresh green leaf in autumn, it prefers a position where it can bask in winter sunshine and a leaf-mouldy soil that holds moisture in winter and dries out in summer once the plant is dormant. I moved the rhizomes to Hillside a couple of years ago from a clump that we had growing in the studio garden in London at the base of a south-facing wall. They flowered well for the first couple of years, but my desire for privacy has rapidly seen this one-time hot spot become shadowy, as the limbs of Cornus ‘Gloria Birkett’ have reached up and out to dapple the garden. As the shade made itself felt, so the arums went into a holding pattern of leaf and no flower to let me know that, although in Greece life on the woodland floor might be tolerable, it was not so here where the intensity of spring light is so much less reliable. I dug up the rhizomes just as the plants were going into dormancy and put them against an east-facing wall where they have all the light they need, but also, importantly, shelter from our prevailing westerlies. I’ve noticed that I have left some youngsters behind in London, for the rhizomes divide easily, but I will gather them up in the next couple of weeks and bring them to Somerset to extend my little colony. Being one of the first parts of the planted garden you meet as you approach the house, the companions to the arum are also early risers. A fellow from the same country in Ferula communis ssp. 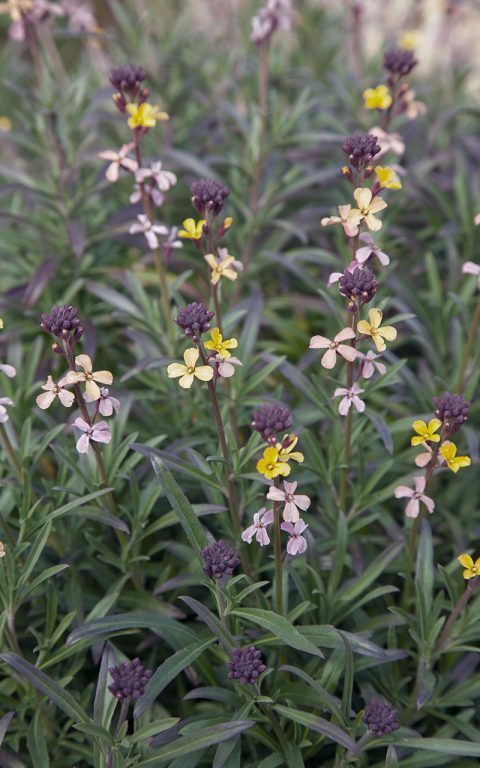 glauca, a fellow to the fennel’s featheriness in the fern-leaved Paeonia tenuifolia and the early species wallflower Erysimum scoparium, a native of the Canary Islands. 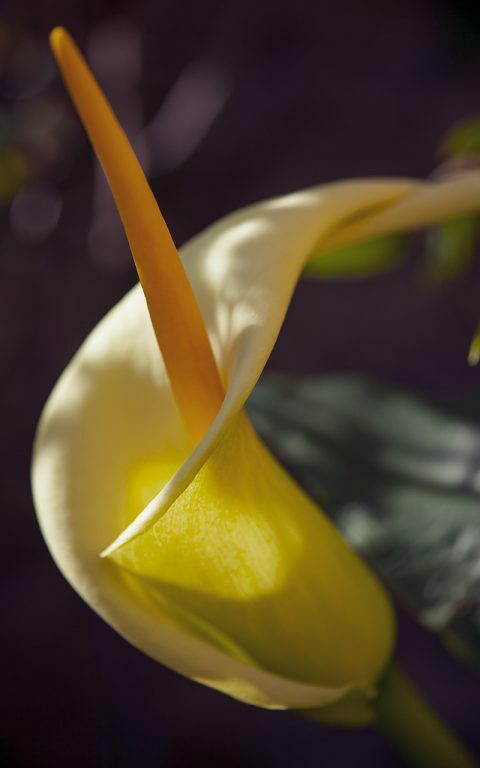 The simplicity and architecture of the arum sits well against the filigree foliage and the mutual break with winter could not make a better welcome.